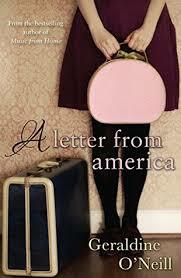 BleachHouseLibrary.ie: Book Review - "A Letter From America" by Geraldine O'Neill. Book Review - "A Letter From America" by Geraldine O'Neill. Guest review from Martina O'Connor. The Tracey family are like any Irish family living in 1960s Ireland. Seán and Nance Tracey are the parents of three girls, Fiona, Angela and Bridget. Fiona lives at home and helps out in the family run shop and public house while Angela lives independently in Dublin and Bridget is on course to become a nun while living at a convent in Athlone. Throughout the book, we get an insight into the Tracey family through the perspectives of Fiona, Angela and Bridget. Geraldine kicks off by introducing Fiona, the eldest daughter, who receives a letter from America from her friend Elizabeth, who informs her that she has been successful in getting a nanny position with a family in New York. Looking forward to her new adventure in America, Fiona helps her parents during the busy Christmas period in the shop and the pub until she leaves for New York in the New Year. When the reader is introduced to Angela, they also get introduced to an independent young woman who has suffered from polio, which affected her leg, from a young age. Angela has not let this hold her back as she manages to get around. She lives amongst people who suffer from the same disability as her so she feels comfortable in her surroundings. Throughout the book, you feel the tensions Angela feels towards her mother, as she doesn’t feel close to her parent as much as Fiona would. Bridget, the third daughter, is living in a convent with the hope of becoming a nun. Bridget also has her independence but is set on completing her vocation as she has strong religious beliefs. Like every family, tragedy strikes when you least expect it to. When a tragedy strikes the Tracey family each of the girls deal with this event in their own way and Fiona is forced to postpone her trip to New York. She does this so that she can help her mother run both the shop and the pub but when her mother falls ill, Fiona has no choice but to cancel her trip altogether and look after her mother at home. Fiona soon finds herself yearning for the independence her sisters have. Bridget has her religion to help her through the tragedy and Angela is busy with work in Dublin so both are away from home and Fiona is left to take on the responsibilities of two businesses and looking after their mother by herself. This aspect of the book made me feel sorry for Fiona as she had her hopes and dreams for the future taken away from her. Fiona feels like she is left looking after things at home on her own as her sisters are unable to return home from their own responsibilities. I also get the idea that Angela is reluctant to return home, which is unfair on Fiona who is left to look after their mother on her own. Soon, the story gives hope to the reader that Fiona can find happiness again, when a handsome American books into one of the rooms above the pub. Fiona immediately finds herself attracted to the American tourist, Michael O’Sullivan, and a romance blossoms. Could things work out for Fiona? Only one way to find out. Geraldine O’Neill’s writing is extraordinary. She finds a way to draw the reader in with her dialogues and depiction of family life in Ireland at this time. Throughout the book, we get a sense that there are family secrets and tensions when we are introduced to Nance’s relationship with her sister Catherine. Fiona, Angela and Bridget don’t understand the tension between Nance and their aunt and this tension keeps the reader turning the page to find out what is the reason behind this fallout. The girls get caught in the crossfire as all three sisters hear something that could change the family for good. What is the secret that has caused this tension in the Tracey family? 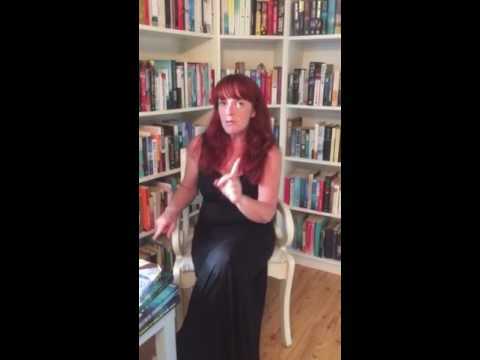 Geraldine O’Neill keeps the reader hooked from start to finish in order to find out. Throughout the book, many characters are introduced. While most characters are likable, there are one or two characters that the reader would find less appealing. For me, Fiona is the most likable as she is a strong character. She shows great strength in the way she runs the family businesses while looking after her sick mother. People would be able to relate to her after she had to sacrifice her trip to America to look after things at home. On the other hand, a character I disliked, to some degree, was Nance Tracey. She started off as a strong character with a happy marriage and three beautiful daughters. However, when she fell ill, she didn’t show the strength that she portrayed at the beginning of the book and showed no interest in getting better which affected Fiona the most. In my opinion, Nance holds Fiona back from following her dreams and holds her back from gaining real independence, which she aches for. Also, when she pushes her only sister away because of the fallout they had, it just doesn’t give a good insight to the character. There are many twists and turns throughout the course of this book that are exquisite. Geraldine O’Neill has a talent for bringing up plot twists at just the right moment. Each character in the book is dealt with a challenge that throws their future plans in the balance. Angela finds out what the Tracey secret is at a moment when her relationship with her mother is looking up. Fiona is unsure what her future holds and doesn’t know whether her dreams for America will happen and what that means for her relationship with Michael O’Sullivan. Another incident puts Bridget’s vocation in jeopardy. Nance also reaches a new low with her illness that threatens her life. Will the Tracey family be able to overcome these challenges in order to find true happiness for themselves? My advice, read “A Letter from America” to unfold all the secrets, sadness and happiness that the Tracey girls become subject to in Geraldine O’Neill’s magnificent story about family, grievance, romance and new opportunities.